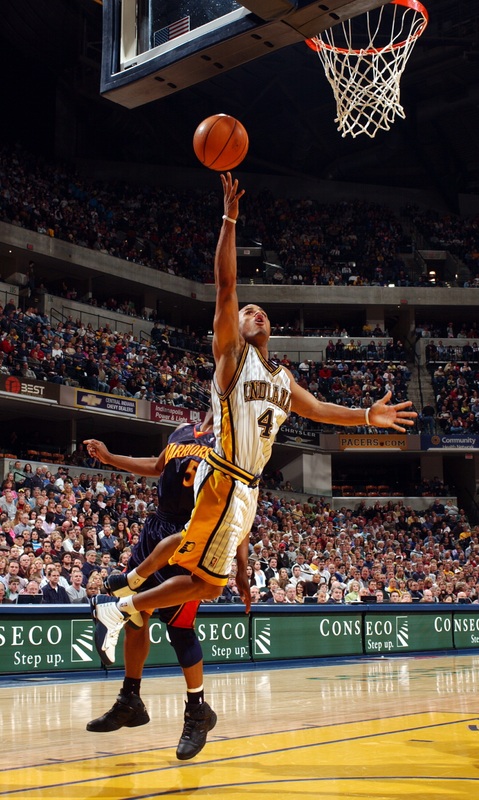 While some NBA players are known for their wild, off-court antics and high-profile lifestyles, former Pacer Eddie Gill is known for something entirely different: personalization. Just two months ago, Gill started ALL OUT Training, a basketball training service that provides personalized basketball camps, clinics and evaluations for youth players of all ages at The Jungle in Westfield at 16707 Southpark Bay Dr.
ALL OUT Training offers both individual and small group instruction by appointment, and open group training sessions every Sunday at The Jungle in Westfield, with different times available for beginners, boys and girls. Gill has a heavy hand in each service ALL OUT provides, leading both group and individual instruction. “It’s all based on basketball fundamentals regardless of age group, gender or ability. We take each individual to the next level and try to advance their ability on the court and build life skills,” he said. While Gill said he has had a great response, he limits the size of group and open gym instruction to 25 players to ensure every person gets the necessary amount of attention and instruction. “Personalization is important and the main focus. We have as low group numbers as possible so that every kid is getting the necessary attention, necessary repetition with the drills and are actually learning something. I want to provide a service where people are really seeing results from it,” he said. A Zionsville resident for eight years, Gill said after a two-year stint with the Pacers, he and his family decided to keep Zionsville as their home base because they liked the community and had made friends in the area. Throughout his time playing professional basketball, Gill started many different youth programs and developed a passion for working with kids. He said as his professional basketball career wound down, providing youth basketball training services seemed like the next step. For more information on ALL OUT Training times, services and pricing visit http://allout-eddiegill.com/ facebook.com/pages/ALL-OUT-Training-Basketball-Training-with-Eddie-Gill/ or contact 435-749-0308.